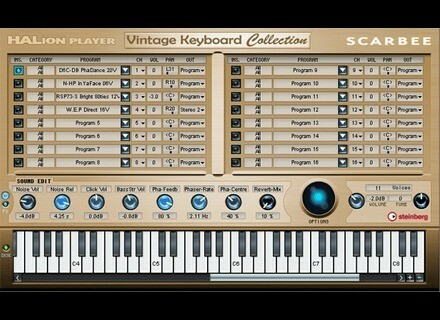 Vintage Keyboard Collection, Virtual Electric Piano from Scarbee. The Scarbee Vintage Keyboard Collection is a pretty good instrument plug in for your daw or whatever type of program that you are using. When you are using these sounds on the Scarbee Vintage Keyboard you can control most of the parameters of each individual sound as they appear right in front of you kind of like more all of the other programs that come out. This program works great, I havent heard of this until I was looking for more sounds online and came across this one and decided to give it a shot. I ran it on my laptop set up and it complete ate my ram, I had an extremely hard time trying to even use it on my laptop and my laptop isn’t a cheap out of date system, it’s a high in Toshiba machine that has been tweaked for music production and it still put my laptop over board. 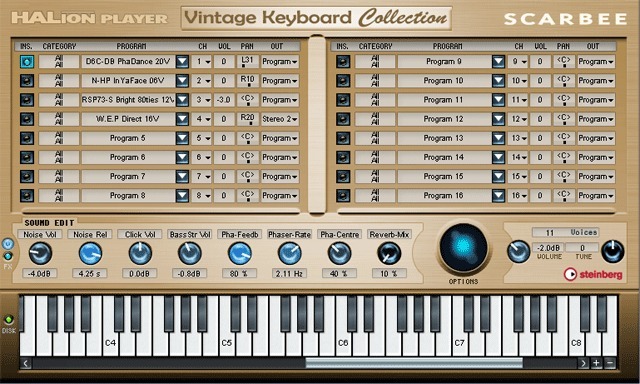 Overall the Scarbee Vintage Keyboard Collections is a great software plug in, but I wouldn’t purchase this with all of the other power house programs that are out right now, this program is great but there was nothing that really stood out to me from all of the other software’s that are flying all over the internet and in musician stores worldwide. The price I paid was 80 dollars which is not bad at all, but for the amount of money I could have invested it toward something I would use more often. Plus I am not too sure how to do upgrades with this software, because I downloaded it so it didn’t come with a box and hard copy of a manual. Even thoug I don’t like manuals but you still need them from time to time just to get the swing of things. The program was easy to use though and easy to navigate, but knowing what I know now I would have went with a different program for my 85 hard earned dollars.